Our involvement within our community extends well beyond typical policing. 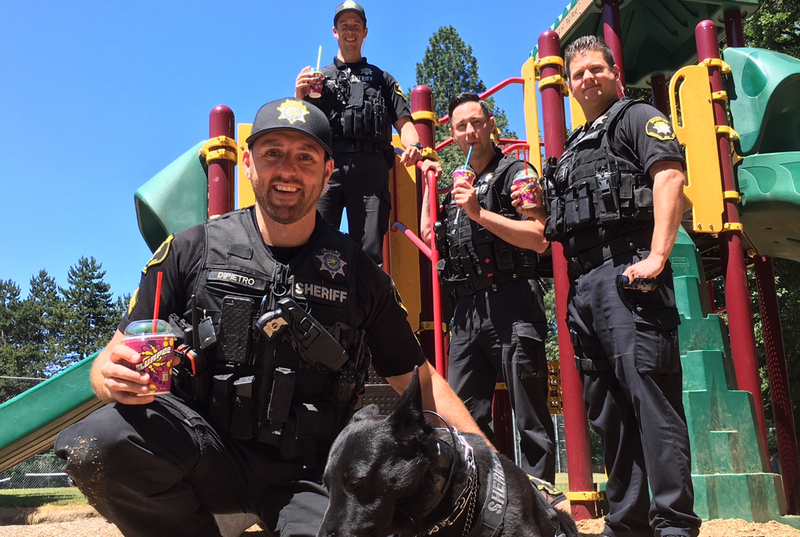 Deputies regularly connect and collaborate with the community – through events, schools, community groups, local businesses and educational public safety presentations. We are stronger together. More than ever before, public safety is a shared responsibility. Cultivating relationships with the communities we serve allows us to connect, better assess needs and evolve best practices. Connectivity is key to building trust and maintaining healthy relationships and is a dedicated responsibility of WCSO. Opportunities are endless here, if you want to work traffic, marine patrol, investigations gangs, etc. and if you set your mind to it, you will be able to work it. The public safety services provided by the Washington County Sheriff’s Office are integral to the balanced and coordinated criminal justice system relied upon by our community. We are proud of the professional, respectful, and highly trained men and women at the Sheriff’s Office who dedicate themselves to earning the public’s trust in pursuit of conserving the peace in Washington County. The City of Cornelius has contracted with the Washington County Sheriff’s Office for police services since 2014. We are extremely pleased with our high quality services, professionalism of the deputies, and how much they have embraced our community. Residents comment regularly to the Mayor, City Council and me about much they now like our police department and feel much safer! As District Attorney, one of the most rewarding aspects of my job is the privilege of working with the dedicated men and women who serve in the Washington County Sheriff’s Office. The dedication and skill of these professionals is second to none and allows us to work collaboratively on a wide variety of difficult cases to ensure our community remains a safe place to live, work and raise a family. I became a deputy because I always wanted to give back to the community I was raised in. Everyday is different, everyday is a new challenge. I get to do one of the most unique jobs in the world. I engage with and help all day long while directly impacting my community and you are able to build some unique skill sets. This agency is the perfect size for someone who wants to experience everything law enforcement has to offer in a personable team environment. I work alongside the most incredible group of people- talented, smart, caring, compassionate individuals. One of my college basketball coaches was a police officer. Looking up to him I was inspired to pursue law enforcement as a career. I am proud to serve the community of Washington County, the people we serve really appreciate us and the people that we work with form a good team. After a 25-year corporate career, I became a police officer at age 47. I am proud to make a difference in my community. I have wanted to be a deputy since I was five years old. My childhood dream started because the job looked cool – driving a cool car, wearing a uniform – but, as I grew and matured, I realized the intrinsic value of helping people. I am there when people need me the most, when they need help. I wanted to become a deputy because I went on a ride along and fell in love with the excitement, the helping people every day, changing lives even if it’s small, and you don’t do the same thing everyday. In my previous career I loved connecting with and helping people. I am proud to be able to translate that passion to my career in law enforcement where I can really do something that is going to impact someone’s life in a meaningful way.